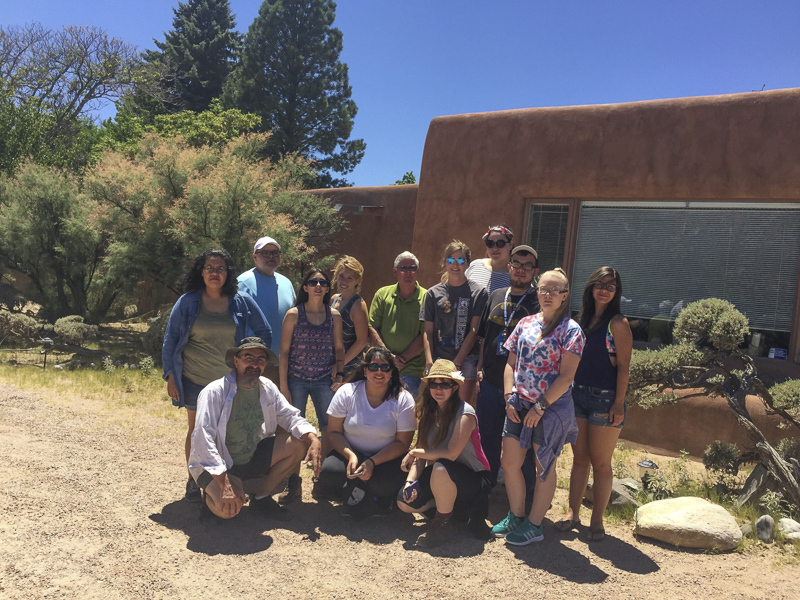 ODESSA (July 20, 2016) – Odessa College photography students taking a summer class recently enjoyed a rare treat – a visit to the home of Georgia O’Keefe, an American artist who has been recognized as the “Mother of American modernism.” O’Keefe is best known for her painting of enlarged flowers, New Mexico landscapes and New York skyscrapers. Each summer photography professor Steve Goff travels with his students to Abiquiu, New Mexico as a part of a 5-day field trip. The class, Landscape Photography, has long been a favorite of Goff’s students, who often choose to take the class more than once. During the course of the field trip, Goff and his students traveled to La Madera, Santa Fe and Plaza Blanca to photograph the dramatic northern New Mexico landscapes. "The OC Photography program had another great adventure to northern New Mexico this year. There were 14 students plus Beckwith Thompson and I. We are so blessed to know Felipe Ortega and stay with him in La Madera. We photographed each day and got to tour the Georgia O'Keefe home & studio, visit Ojo Caliente mineral springs and, when it was really, really hot, sit in a mountain stream!"